BETHESDA, Md., March 30, 2017 /PRNewswire/ -- The next generation of travelers are passionate, inquisitive and social, sharing more than 400 million Snaps each day (source) on Snapchat. Starting tomorrow with the launch of "Six Days, Seven Nights," Marriott Rewards, an award-winning loyalty program from Marriott International, Inc., is introducing Snapchat devotees to its broad portfolio of world-class properties and the vast benefits of loyalty. The new, four-part original series "Six Days, Seven Nights" was created specifically for the fastest growing social media network. "There are a million reasons to travel and thousands of great places to visit, and we have incredible properties in just about any destination our guests want to go," says Amanda Moore, Senior Director, Social & Digital Marketing, Loyalty. 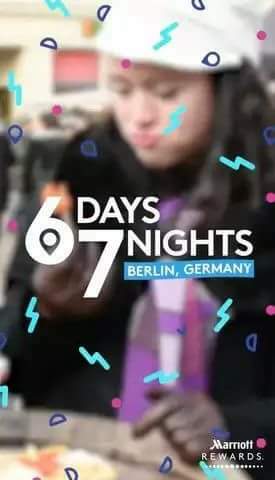 "Six Days, Seven Nights introduces the Snapchat audience to the places, properties, people and program benefits that fuel our member's experiences while traveling the world." Each three-minute "snapisode," which is partially filmed using Snapchat Spectacles, enables viewers to explore new destinations, cultures, communities and amazing properties through the lens of top social media influencers, Tom Jauncey of Beautiful Destinations, Diipa Khosla, Sara Hopkins and Jen Levinson. 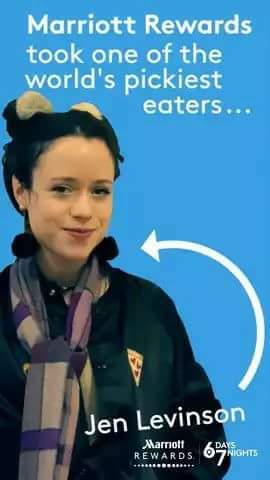 In episode one, Jen Levinson, a notoriously picky eater, sets out to broaden her palate and discovered the best food Berlin offers, from currywurst to frog legs. Marriott Rewards Premieres Season One of "Six Days, Seven Nights," the First Original Snapchat Video Series From the Travel Industry. Production Begins On "White Boy Rick"
When Your Husband is Pathetic, What Will You Do? Do Your Best To Survive!